Gameweek 22 of the 2018/19 English Premier League season gets underway with a London derby as West Ham face Arsenal on lunch-time kick-off. Who will claim the bragging right at the London Stadium? Check out here our West Ham vs Arsenal betting preview with expert predictions, betting tips, probable line-ups, team news, enahnced odds, exclusive free bets and no deposit free bets on this fixture! West Ham have won 5 of their last 8 in the Premier League and only lost twice. As a result, they sit 10th in the table, just 3 points adrift of Leicester in 7th. The Hammers beat Birmingham City 2-0 last weekend to book a FA Cup fourth-round clash at AFC Wimbledon. They drew 2-2 at home against Brighton in their last EPL fixture and lost 2-0 at Burnley prior to that. A big concern will be the fact that they have not kept a clean sheet in a league match at the London Stadium in their last eight attempts. Furthermore, Manuel Pellegrini's men have won only one of their last 12 meetings with Arsenal and have failed to win their last six home match ups with the Gunners, losing four. Fabian Balbuena has been ruled out for six to eight weeks and joins a lengthy injury list that includes Ryan Fredericks, Winston Reid, Andriy Yarmolenko, Manuel Lanzini, Carlos Sanchez, Jack Wilshere and Chicharito Hernandez. Marko Arnautovic should be fit to start this weekend, and is likely to be used despite the latest speculation over his future. Should the Austrian miss the match, Manuel Pellegrini could opt for Andy Carroll. Robert Snodgrass and Felipe Anderson should start as wingers, with Grady Diangana and Michail Antonio further alternatives on the wing. Declan Rice is now a permanent fixture in central midfield while Samir Nasri is expected to be in the squad and could make his first Premier League appearance since 2016. Arsenal have bounced back from their hammering at the hands of Liverpool with a comprehensive win over Fulham. The Gunners are struggling on the road and have failed to win in their last four Premier League away games. They have gone W4-D3-L3 so far, with victories coming against Cardiff, Newcastle, Fulham and Bournemouth – all of whom reside in the bottom half of the table. Unai Emery's men also progressed in FA Cup at the weekend, as they will host Manchester United after defeating Blackpool 3-0. As to direct matches, the Gunners were 3-1 victors when these two teams met at the Emirates Stadium in August. Mesut Ozil, Shkodran Mustafi, Nacho Monreal, Laurent Koscielny and Hector Bellerin have all returned to full training and will be assessed ahead of the kick-off. Roby Holding, Danny Welbeck and Henrikh Mkhitaryan will all miss the trip to east London. Alex Iwobi and Maitland-Niles have impressed in recent weeks, however, and arguably deserve to retain their starts. The former will complete the front trio alongside Pierre-Emerick Aubameyang and Alexandre Lacazette. The latter will start as wing back at right, with Sead Kolasinac on the other flank. A rested Lucas Torreira looks set for a recall in central midfield, although Matteo Guendouzi is pushing for a start. Get 33/1 Arsenal to beat West Ham with Betfair! New Customers can get Arsenal at an enhanced 33/1 to beat West Ham. Max Stake £1. Winnings paid in free bets, valid for 7 days, only deposits with cards/Paypal count. Exchange and multiple bets excluded. T&C’s Apply. 18+|Gamble Aware. You’re always going to search for the best odds when it comes to betting. We compare prices from more than 50 Top Betting Sites in the UK and you can find below the best priceson the West Ham vs Arsenal match winner market. Wanna know which betting site is offering Best Odds Guaranteed on football or which are the sportsbooks with the highest odds on average? We got you covered! Premier League matches are generally tough to predict but BetAndSkill's tipsters have deeply analysed all the key stats and info about West Ham v Arsenal. Looking for the best reaserached picks? Take a look at the section below! You can back our betting tips as singles or put all the recommended bets in a unique bet via a Request a Bet service or a Bet Builder tool. 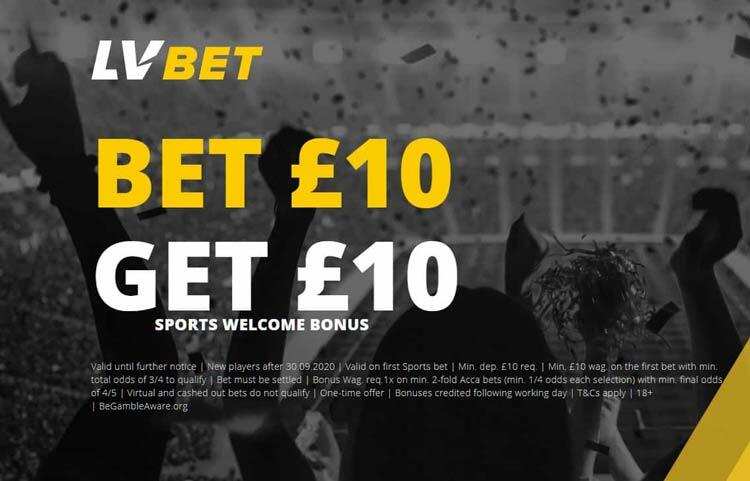 The English Premier League is the marquee competition in European football and there is no shortage of top online betting sites offering free bets or promo codes to bet on EPL matches. Wanna get 30 days of free play on the new Paddy Power prediction game Beat The Drop and win up to £1,000? Play for free, no deposit is required.. hurry up! You can even start betting on the Premier League without risking your own money? We suggest you to visit our free bets with no deposit page! Ladbrokes offer 70/1 Arsenal, Chelsea, Liverpool & PSG all to win! "West Ham vs Arsenal Betting Tips, Predictions, Lineups & Odds (Premier League - 12.1.2019)"